Remember the awesome Laura Abbott that we interviewed earlier this year before she took on the Saharan Mini Adventure? 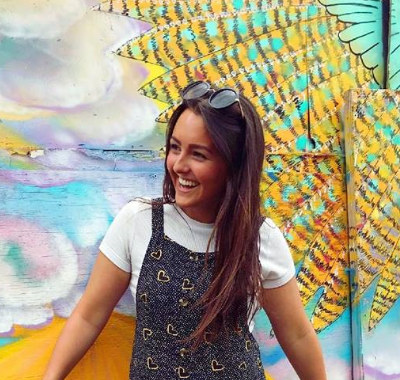 Laura undertook some outside-the-box fundraising in preparation for her challenge, which included nabbing a Bestival ticket for people to win in a raffle. Pretty cool, right? 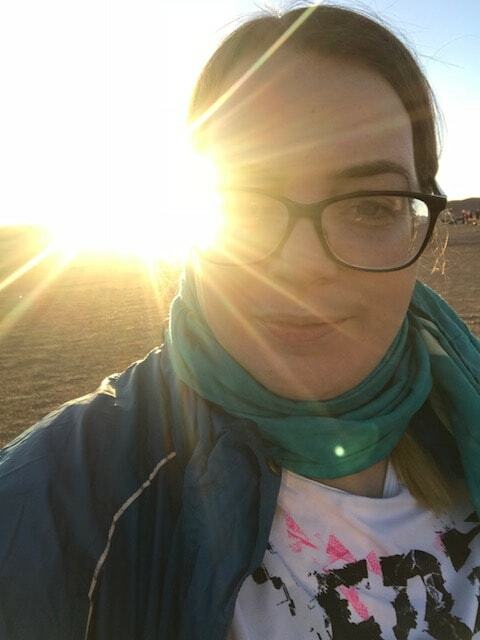 Well, Laura has conquered the Saharan Mini Adventure like we knew she would! 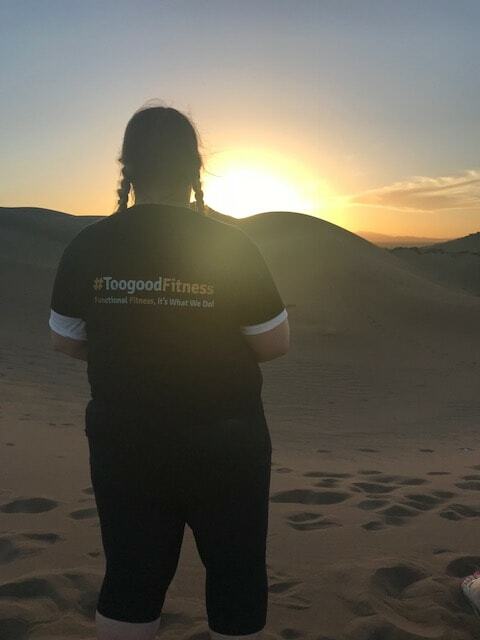 We just had to catch up with her about her challenge experience and get the lowdown on what it's really like to trek across the Sahara Desert! Welcome back, Laura! And a HUGE well done. As you've been back a little while now, you may have had time to reflect. Do you feel any different now that you've conquered such an epic challenge? What an incredible feeling! Going through the challenge experience can often lead to people being surprised at just what they can achieve with a bit of determination and perseverance. Stepping outside the trusty comfort zone can result in amazing things! And it definitely helps to be somewhere as beautiful as the Saharan Desert! 'Just breath-taking! I was worried I would get bored just seeing sand everywhere, but the landscape is absolutely stunning and so calming. The sunsets and sunrises are absolutely stunning, the sky at night is also incredible as the stars are so clear and the Milky Way is visible. I'm just gutted my camera was a bit rubbish and couldn’t take any decent photos of the night sky! Your pictures look amazing, but we totally get it's hard to capture the real beauty of your surroundings. Some moments have to be savoured in your memories. You were a busy bee ahead of your challenge, building up your fitness and getting many miles in. Do you feel like your training set you in good stead and prepared you well for your trek? Great news. Hard work definitely pays off and helps you enjoy the challenge itself a whole lot more, especially when the going gets tough! There's a reason why we call our experiences 'challenges'. What did you find most challenging through your experience? They really are deceiving! Participants are often surprised at what parts of the experience they find most challenging too. Very true - that's why it's best to live the adventure, rather than simply reading about them. It really helps to have your fellow trekkers there for support too, how did your relationships develop as the experience progressed? Amazing friendships can be made on our challenges because of the strong support network that is formed over your time together. You completely smashed your challenge – what was the feeling like of crossing the finish line? We bet! But your adventure wasn't over then...You stayed on for the extension to explore Marrakech. What a great reward for your hard work! How was this experience? Marrakech is an intense and vibrant cultural experience, for sure! But definitely worth visiting when you're exploring Morocco. So, Laura, has this whole experience ignited a love for trekking? Any other adventures in mind? That is a really beautiful landscape to explore, it's definitely got pride of place on our bucket list. We are intrigued to see what funky fundraising activities you'll be getting up to in the lead up to your next adventure. Do you know your fundraising total from your hard work this time around? A fantastic amount that will make a positive difference in people's lives. Lastly, what would you say to someone thinking of going for the Saharan Mini Adventure trekking challenge? Thank you, Laura. What a spectacular adventure you've been on.. We can't wait to see you for the next round of trekking whenever or wherever that may be! 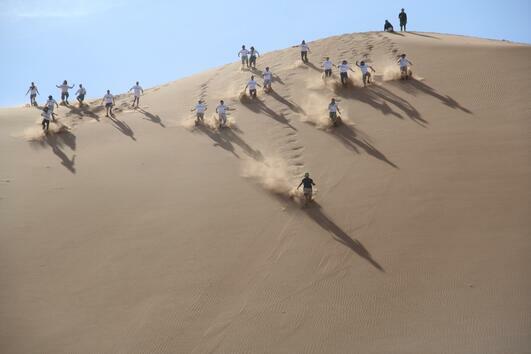 Inspired to trek the Sahara Desert? We've got you covered! 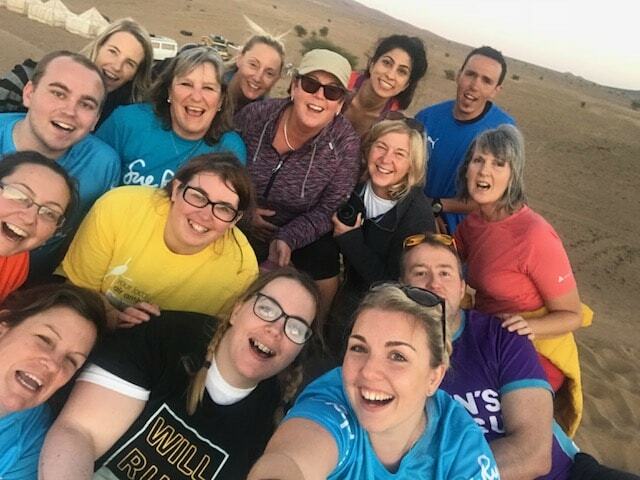 Our much-loved, sandy Saharan Mini Adventure is back for 2019 and booking up fast. Book now for February or October 2019!